Grandparents and childminders are welcome. Lots of fun for the kids and company for you. Snacks provided for the children and Tea/Coffee for the grown ups. We all know someone who needs Jesus and is not attending church. Let’s do our part by praying for, inviting and bringing others to Abundant Grace each week, where they can hear and be transformed by the faith producing Word of God. 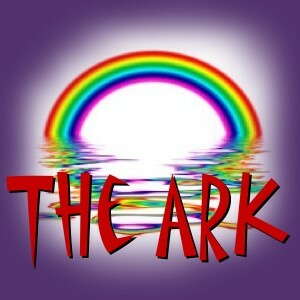 A ministry which demonstrates, in a practical way, the love of Christ to our local and wider community. 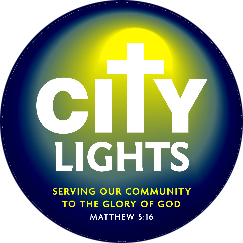 From feeding the homeless to visiting the sick and the elderly, from sweeping up in our local community to cleaning our neighbours windows, from collecting a senior citizens prescription to decorating their living room - CITY LIGHTS are on hand to serve and to be a blessing. Grandparents and childminders are welcome. A great place for kids to learn to interact with children of their own age and an opportunity for Mums and childminders to have a coffee and a chat together. At the same time (once a month) we also provide our much loved 'YUMMY MUMMYS' beauty service. Where you ladies can relax and enjoy some well deserved pampering in the form of manicures, pedicures, facials, make-up, hand & feet massages etc. All our treatments are free of charge.